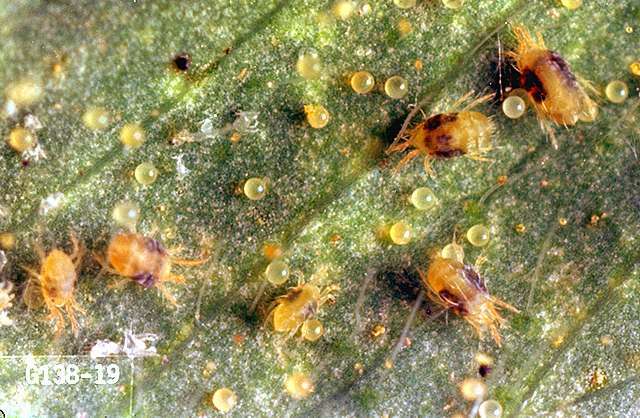 Pest description and damage Several species of spider mites can cause damage in deciduous, evergreen and coniferous ornamentals. 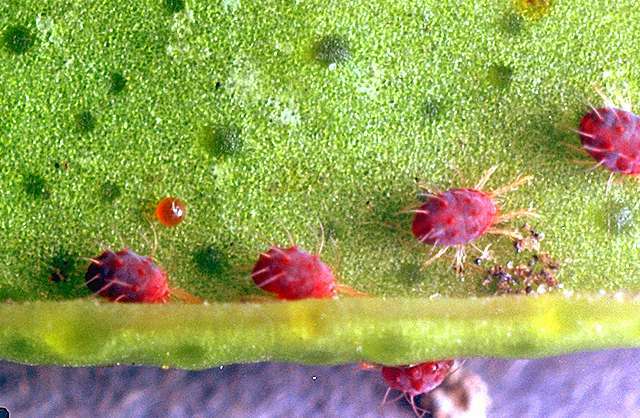 Appearance of these mites varies with the species, although all are 0.02 inch or smaller. Adults and nymphs can be yellowish, greenish, or reddish brown, depending on species. Spider mites are oval and yellowish-brown or green with distinctive black spots on the body. 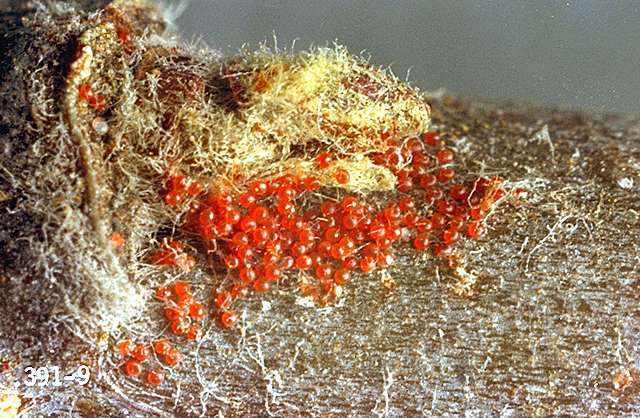 Plants may be covered with fine silk webbing at branch axils or over sections, small plants may be engulfed in webbing under very heavy infestations. 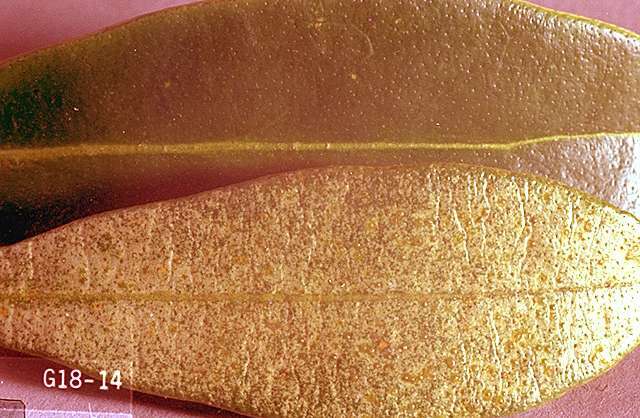 Mites damage leaves and fruit indirectly by feeding on leaves, which causes stippling, bronzing, and possibly leaf drop. The reduction in photosynthesis causes loss of vigor and yield.